Saffron Paella Recipe made with my “ready to use” spice mixture. 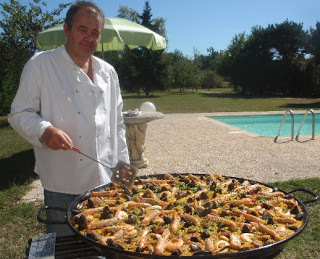 Hello and welcome to my paella recipe’s blog dedicated to the true and original Paella Recipe. I’m here to teach you how to succeed in your Paella making and to make it even tastier than ever. 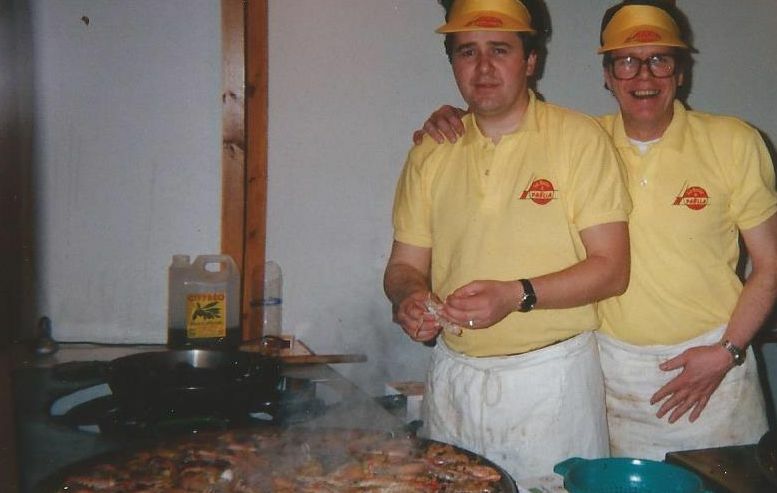 It has been 25 years since I began cooking Giant Paella as a living. Moving from place to place, from houses to shop and companies or associations. At first I didn’t know what kind of spices to use to make my paella be as tasteful as the ones you eat in Spain. I tried a lot of different spices, some with saffron for example, some others with lots of colors but tasteless, and even some with that awful « artificial » taste. Every products on the market, even the most famous ones, were not to my liking. Something was still missing to make my paella unique and tasty. I had to try different recipes many times and unfortunately wasting a lot of rice, before achieving what I was hoping for, a unique and tasteful recipe. The challenge was quite hard as you do not cook a 50 person paella, the same way as you do one for four or five people, especially with these artificial tasteless products that you find on supermarkets for example. The successful creation of a good paella is the result of a careful blend of different spices. You have to cook unique ingredients and have extremely precise cooking instructions to reveal the true « bouquet » that my customers were looking for. They had to retrieved each time they tasted it the same unique and wonderful taste they had before. So I had to give each client the exact same taste they had before, the paella had to be exactly the same. Each one of my employees had to cook the same exact product. They couldn’t change a thing from a simple pinch of salt to a handful of spices so the taste would remain exactly the same. At first I was always making a small bag of my now famous spice recipe and was delivering it to each one of my shops. But as the number of shops grew, I found myself unable to deliver each one of them, so I asked to another company to package this spice mixture for me, so it would match hygiene rules, requirements, and would be delivered easily. 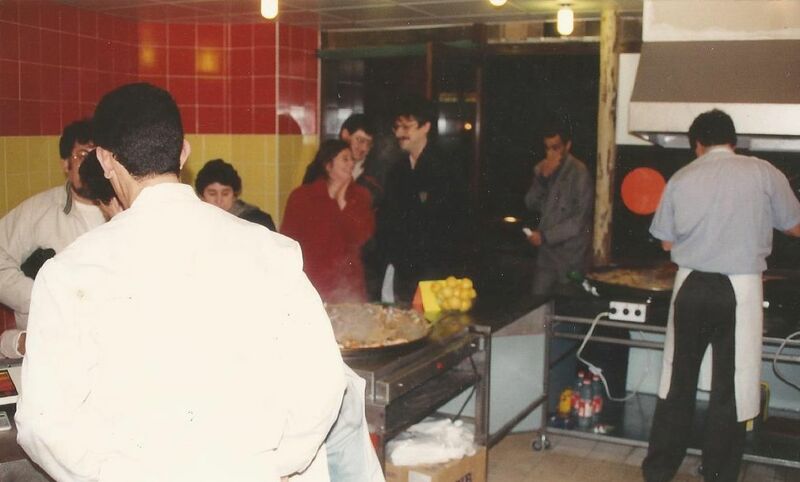 Twenty five years later, after developing several other activities such as fast food restaurants, I came back to my first love, Paella cooking. Since 2010, I am now, with my wife, home caterer, making Paella from 50 to 500 persons ! Here’s for example a picture of me at Laurent Jalabert’s house, a professional racing cyclist. On lots of occasion while I’m cooking, customers were always asking where they could find the spice mixture that we’re using in our recipe that makes my paella so tasteful and unique. The answer was almost right before their eyes. That’s why I decided to sell this spice mixture so that everyone will be able to enjoy it, but also because we are not able to cook everywhere in France or in the world, but only in south west France. Thanks to this, Everyone will now able to taste it, wherever they live. So I ask a company to package the mixture and to create 125g bags of my delicious and spicy recipe. One bag allows you to cook a paella for a maximum of 25 persons. You just have to mix 5grams of this recipe with 20cl. of water per person. For example : If you want to cook a 15 person paella you will need 5*15=75gr of mixture added to 3L of water. See ? It is really simple and there is nothing else to add. You don’t even need to taste it before, when it boils you’ll smell the wonderful taste of the different spices. What are the advantages of my special recipe ? Most Paella Spice mixtures available in supermarkets ans shops always ask of you to add some ingredients like salt, pepper, or even garlic. When you use them with your rice, you never really now what you’re up to, if it’s too spicy or salty and you usually end up not being truly satisfied. It’s either too spicy or too soft. With my unique recipe everything is just very simple. Everything has been perfectly prepared and quantified, so you have nothing to do or add. You just have to follow the simple instructions I gave earlier and to enjoy your meal. 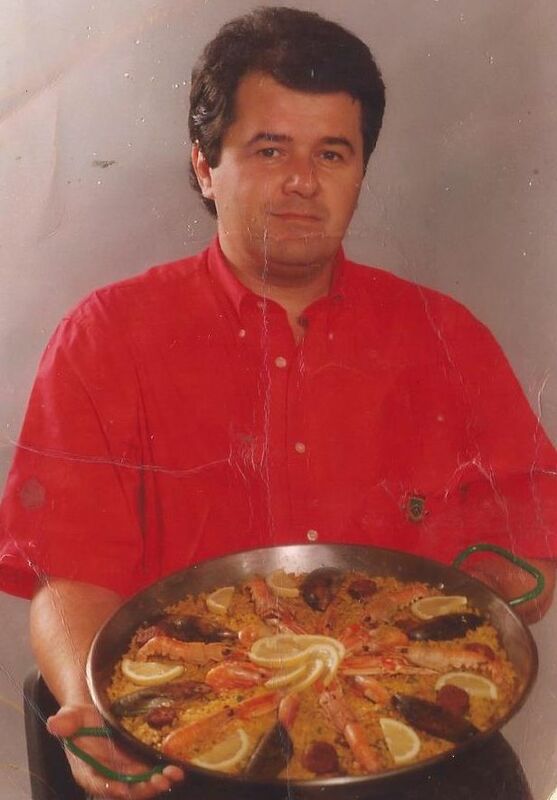 Unaware of your choice of the paella recipe, traditional or valenciana ,you will have a wonderful result. These spices are so subtly mixed that they will match everyone’s taste. And believe, achieving this is quite a hard task. 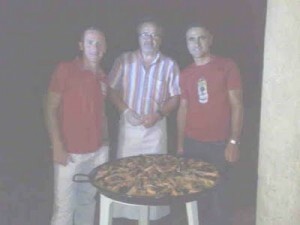 You’ll see that thank to see wonderful recipe, you’ll be able to cook great paellas even if it your first one. You don’t need to have traveled to Spain or learned secrets about cooking there, just use my spice recipe and it would do the trick. As soon as your food will cook, everyone will enjoy the smell. You’ll perfectly understand that I do not want everyone to use my recipe, this unique mixture, to do whatever they want with it. Some people may want to add some extra spices in it, or try to modify this unique recipe. Clearly, this mixture is not for them, because they will end up with something that would not be as good as it suppose to be, and they will certainly complain about it. If you are one of those people, you don’t have to spend a cent on my recipe, I don’t want that kind of customers. That you don’t need to be a great « Chef » to make your recipe taste good. That you only have to open the package, to mix it with water very precisely to obtain something delicious. That you have to cook things in the right order, meat first, then vegetables and finally seafood. That it is not the most expensive paella rice that is the best one. Then this spice mixture is perfect for you. But how much does this spice mixture cost ? The price of a 25 person package (125g) costs only 6,50€. 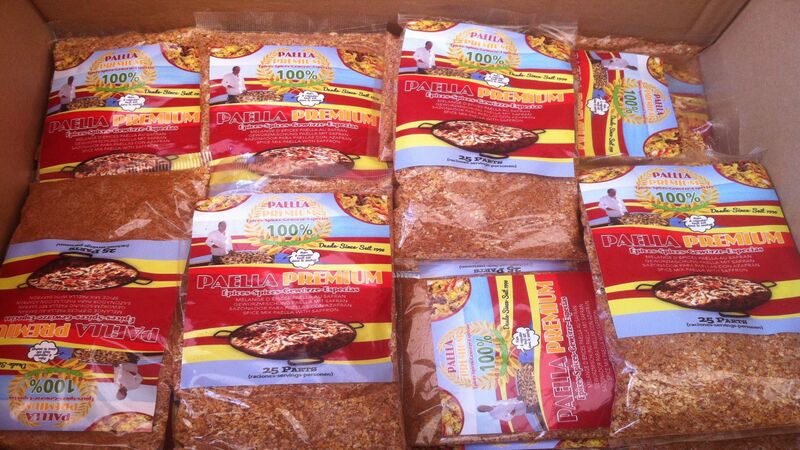 If you want to prepare a bigger paella you’ll need more packages (lower prices if you buy more at once.) If you divide this price by the number of guest, it only cost you 25 cents per person. You’ll have to admit that it is quite a low price that deserves to be tried at least once. And you’ll see that your guests will be fully satisfied and happy to discover such a wonderful recipe. To show you that I am really serious, I can guarantee you a full refund if you’re not satisfied with my product. If you’re not convinced of having just before your eyes a wonderful and unique recipe, that your guests are not charmed or that it doesn’t match your requirements, just send it back, I will refund it to you. 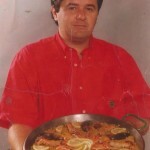 But I am now sure that you will not do it, as my recipe is just a perfect mixture for all paella’s lovers. I could have offered you a free sample of this fine and delicious spices to see for yourself before ordering but, when things are free, everyone orders and almost no one uses it. I really want you to see for yourself what a great product it is, even if I can assure you that this is the entire truth. I just want people to use it and not only to smell it once and forget it in a drawer. That’s why I do not offer it, I want it to be used and appreciated, so if you don’t plan to use it, don’t buy it ! But if you want to make wonderful and delicious paellas, please buy some, you won’t be disappointed. You can order right away on my secured website and quickly receive your spice packages. You just have to click down on the link below to visit our online store. Have a nice and wonderful Meal !